Walk through virgin rainforest in Ghana or meander through Italy’s Prosecco region by bike. Witness a rocket launch from Kazakhstan or visit one of the world’s most remote islands, St Helena. With over 600 trips in more than 130 countries, Explore has the world covered. Here are the company’s top picks for 2018. The Nepalese Tibetan border has recently reopened following the 2015 earthquake, and the country is very much open for business. 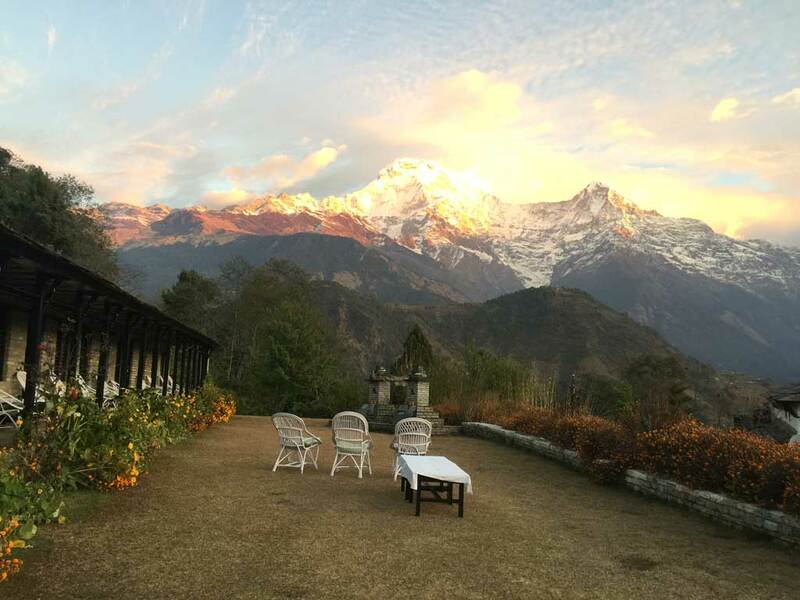 The new Annapurna Luxury Lodge Trek from Explore is a trek thought the magnificent Annapurna mountain range in Nepal staying in the relative luxury of Ker and Downey’s famously comfortable and characterful lodges. Each lodge has been carefully positioned to enjoy spectacular Himalayan views; their traditionally decorated rooms have comfortable beds and ensuite bathrooms with hot running water. There’s also time to explore the bazaars and temples of Kathmandu, relax in lakeside Pokhara and search for rare one-horned rhino and other wildlife in Chitwan National Park. This 13-day trip starts from £2,760 per person including flights, five nights’ hotel and six nights’ lodge accommodation as well as most meals and an Explore tour leader. Still emerging from isolation, Albania is a country that is off the main tourist trail, but offers stunning natural scenery, fascinating historical sites and pretty villages. Explore’s 10-night Highlights of Albania trip travels from the Adriatic Coast across the White Mountains to the peaceful shores of Lake Ohrid. Along the way you can see villages where time appears to have stood still and the rural lifestyle has gone unchanged for generations. 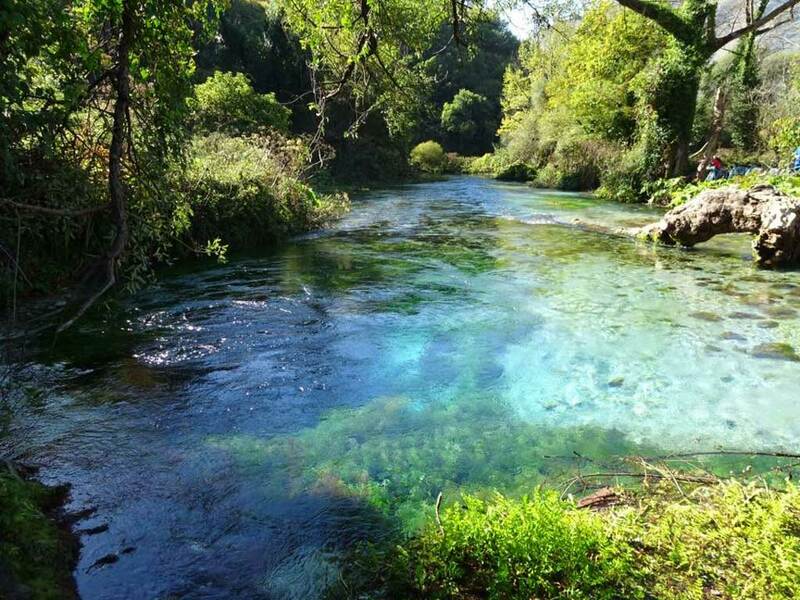 There’s also a wealth of historic sites left behind by past civilisations, such as the Illyrian tribes, ancient Greeks, Romans and the Ottoman Expire. 11 days from £999 per person including flights, 10 nights’ hotel accommodation with breakfast, plus an Explore Tour Leader throughout. The largest and wealthiest of the ‘Stans’, Kazakhstan has had lots of investment into infrastructure, and lots of new openings, meaning its one to watch in 2018. Explore has announced a new two-week trip that is timed to coincide with a rocket launch at Baikonur. Explore the leafy streets of Almaty, discover Silk Road history in Turkestan and uncover eerie rusting ships in the middle of the desert where the Aral Sea once was. You’ll visit the Cosmodrome at Baikonur to learn about the Soviet space programmes and, if lucky, encounter a rocket launch. The tour finishes in Kazakhstan’s wealthy capital, where gleaming glass-fronted buildings unashamedly jostle for position. 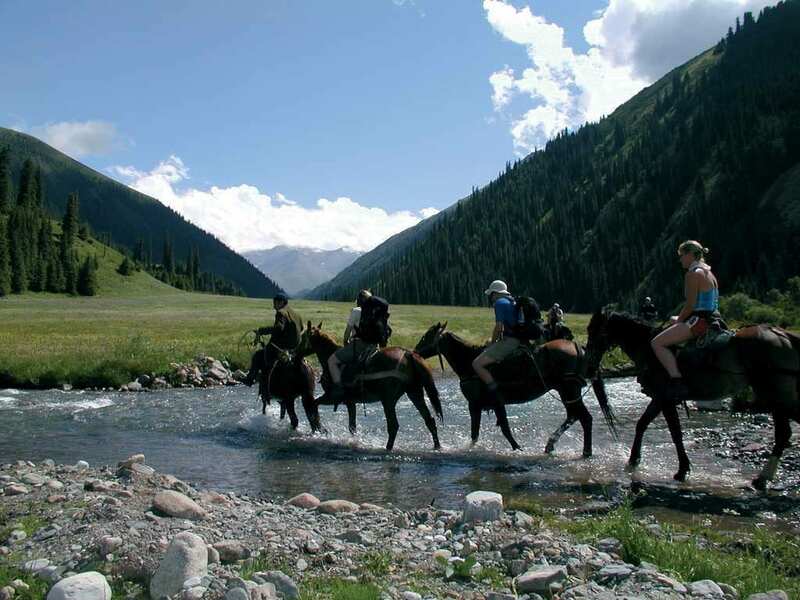 Across the Kazakh Steppe costs from £3,499 per person including flights, accommodation, breakfast and some additional meals, and an Explore Tour Leader throughout. Earlier this year, the visa for Belarus was scrapped for visits of five days or less, making it quicker, cheaper and easier to organise a trip to the country. Explore has launched a new short break designed to give a taster of everything that makes Belarus a great destination. Experience its Soviet history in Minsk, historic castles, rolling countryside and rural traditions – all in just five days. Spend three nights in the capital city of Minsk and a night in the UNESCO listed Nesvizh Castle. In the city you can view a Brazilian-Belarusian street art collaboration and have the chance for lunch in the parliament canteen. Whilst at Rosy Eco Village we’ll meet families that have left the rat race for a more traditional lifestyle and sample their local produce. Belarus Short Break from £799 per person including flights, 4 nights’ accommodation with breakfast and some lunches, plus an Explore Tour Leader throughout. Celebrating 60 years of independence in 2017, Ghana is a jewel in East Africa’s crown, characterised by beautiful beaches, varied wildlife and vibrant culture. 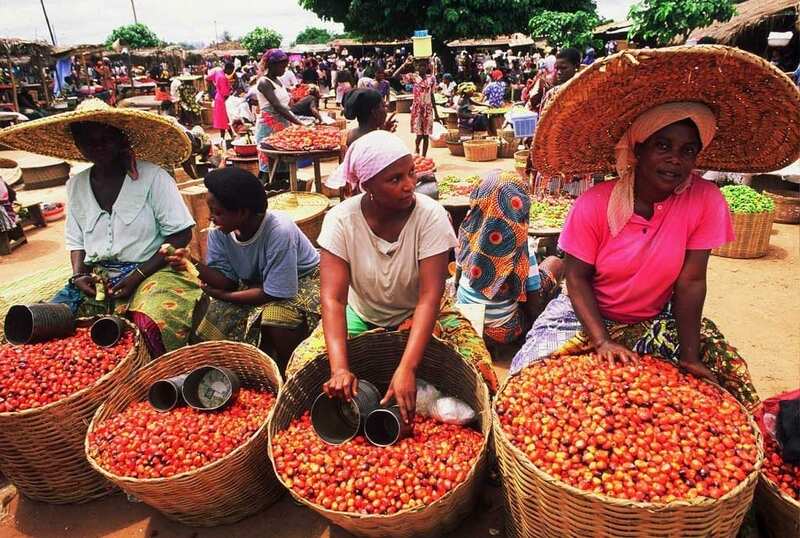 Explore offers an unusual opportunity to enjoy walking whilst discovering the vibrant culture of West Africa – all in a week off work. The brand new On Foot in Ghana trip incorporates a visit to the country’s highest peak – Afadjato 885m, virgin rainforest in the Kakum National Park, Tafi Atome monkey sanctuary and a trek to Ghana’s highest waterfall at Tagbo. We visit spend time on the coast and visit Elmina Castle and the Cape Coast fort for an insight into Ghana’s role in modern history as well as getting the chance to attend a celebration of Voodoo. This exciting nine day trip starts from £1899 per person on a twin share basis and includes return flights, five nights’ hotel accommodation, two nights lodge accommodation, all breakfasts and an Explore tour leader. Prosecco has become an increasingly popular drink in recent years – the UK is the biggest consumer of the drink behind its native Italy. Explore has launched a new trip to the Prosecco region, a self-guided cycling trip that sees visitors pedalling through the vine-covered hills of the area, travelling from winery to winery where you can learn more about the local frizzante wine. Make your way through the Veneto region following the River Sile to the medieval town of Bassano del Grappa where you can turn your attention to the famous spirit. The eight-day trip Self-Guided Cycling Along Italy’s Prosecco Route starts from £740 on a twin share basis and includes seven nights’ hotel accommodation with breakfast, bicycle hire and route notes. 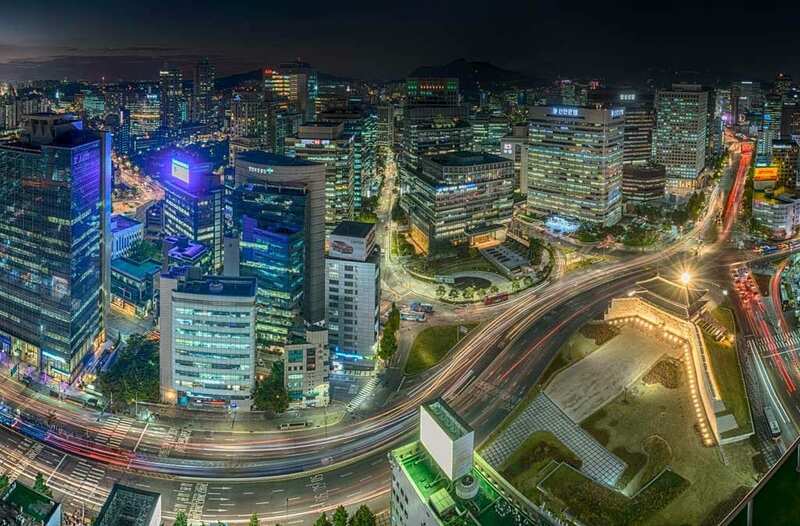 Temples, markets, wonderful cuisine… South Korea is an unexpected gem. Hosting the 2018 Winter Olympics in Pyeongchang, South Korea is launching a new high-speed railway line across the country between Seoul and the Olympics hub before the end of the year. 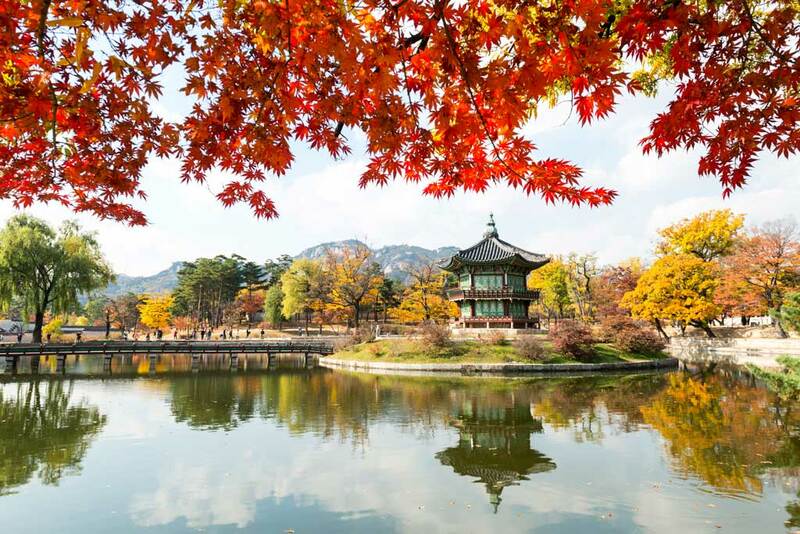 Explore’s South Korea Explorer trip travels from the cosmopolitan city of Seoul to the ancient Silla capital of Gyeongju on Explore’s eight- night trip and discover all that South Korea has to offer. Experience one of the last frontiers of the Cold War, the Demilitarised Zone, and see the barrier separating North and South Korea. Take part in a traditional Korean tea ceremony and spend the night in a Buddhist monastery, witnessing the morning temple rituals. Discover Tongdosa Temple, one of the Jewel Temples of Korea, and beautiful Namsan Mountain. Eight nights from £2,499 per person including flights, six nights’ hotel accommodation, one night in a monastery and a night in a simple homestay. ‘Isolation’ is the word most synonymous with this remote and rugged British outpost marooned in the middle of South Atlantic. 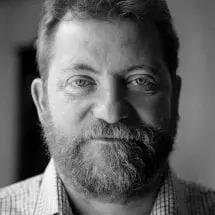 Such is its remoteness, almost equidistance between Brazil and Angola, that St Helena was chosen as the place of exile for its most famous resident – one Napoleon Bonaparte. Taking advantage of a newly-built airport, Explore is offering a one-off trip to the UK’s second-oldest Overseas Territory in February 2018. Well-placed for the old Cape shipping route, the island has a rich history, rugged wind-swept coastlines and a forested interior with many endemic flora and fauna. Small towns dot the island and the welcome received from the 4,000 ‘Saints’ that live here is legendary. Explore haven’t visited St Helena before, so this trip will be run in the form of a ‘recce tour’ where we will explore it together, and where your feedback will be used to help shape a group trip to be launched later in 2018. Departing 9 February 2018, this recce trip costs from £4,295pp including flights, accommodation and an Explore Tour Leader. Offering excellent value-for-money and a huge variety in landscapes, activities and experiences, Portugal is on the up. Responding to increased demand for walking and cycling breaks in the country, Explore has created a new eight-day Walking in the Eastern Algarve trip for 2018. Based in the historic town of Tavira, this walking holiday offers scenic coastal and inland walking. Tavira, separated by the Gilao River, has retained its charm with whitewashed buildings and cobbled streets. The relaxed walks take you through picturesque villages and traditional fishing communities, past lemon orchards and bamboo trees, into the rolling Barrocal Hills and along the banks of the Guadiana River. Explore the beautiful unspoilt beaches on the sandbank islands of Tavia and Culatra, reaching the southernmost lighthouse in Portugal. Departures in spring and autumn 2018 from £799 per person including flights, seven nights’ accommodation with breakfast and an Explore Tour Leader throughout. Indonesia has seen huge growth in recent months – up 68% for Explore, year-on-year – as a great value destination that offers real variety. As a result, the company has announced four new trips to the country for 2018 – a new walking trip, Java & Bali on foot; Discover Sulawesi; a Borneo trip – Kalimantan Adventure – plus a new trip for families. Indonesian Highlights showcases the islands of Flores, Komodo, Bali and Lombok on the two-week family adventure of a lifetime. Venture through rice paddy fields, past dramatic volcanoes, and thick tropical jungle and stopping to walk through ancient tribal villages steeped with thousands of years of tradition. Spend three days on the waters off the Komodo archipelago in search of the infamous Komodo dragon, the world’s largest species of lizard, brought to a global audience by Sir David Attenborough. End your adventure with the golden sandy beaches of Lombok with the option to extend to the tropical Gili Islands. This trip starts from £2,499 per adult and £2,015 per child and this price includes nine nights of standard hotel accommodation, two nights simple village house, two nights simple boat accommodation, some meals and the services of an Explore tour leader. For more information or to book, visit www.explore.co.uk or call 01252 884 723.